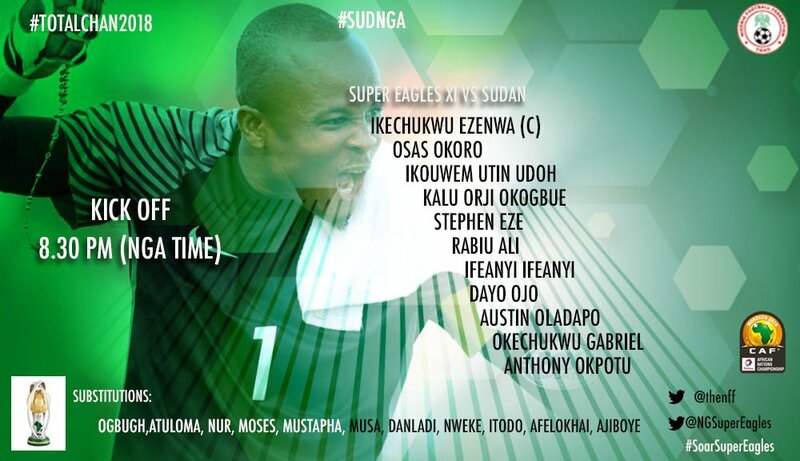 After defeating Angola with 2 goals to 1, Nigeria will be playing against Sudan today in the ongoing CHAN 2018 Semi Finals. Lets Get Ready Another wonderful moment of excitement and entertainment of soccer games!! Sudan and Nigeria have met 13 times and Yusuf’s men enjoy an advantage of seven wins, four draws and have lost twice to the Flacons. However, with a spot in the final up for grabs the encounter could go either way and history will not count on Wednesday at the Stade de Marrakech at 19:30 (CAT). RELOAD This Page To Get The Latest Updates..
90+2′ Ajiboye with another brilliant save from close range to punch it away for a corner. Sudan piling pressure. 87′ Another red card in the match for Bachir, a straight red for bringing Ojo down on the edge of the box from a counter attack. 84′ Ajiboye comes with a superb save to deny Saeed from close range to concede a corner. 80′ We are in the last 10 minutes of the encounter. Very few chances created by both sides. 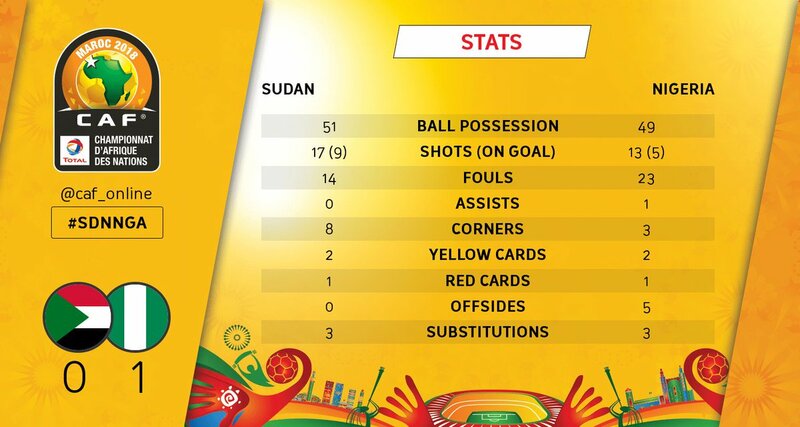 66′ Sudan are slowly gaining an upper hand over their 10-man counterparts, but are yet to create clear cut chances. 58′ Second booking for Ifeanyi. 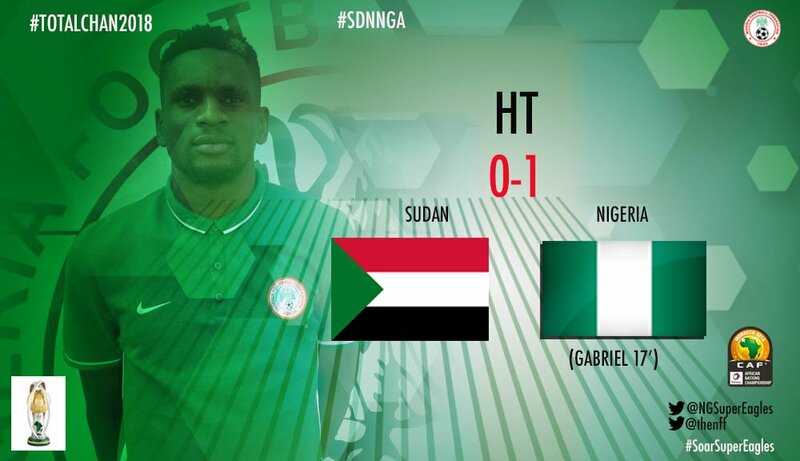 Nigeria down to 10 men. 50′ Nigeria’s Ojo sees his effort at goal saved by Akram, they are pushing for the second goal. 46′ Second half resumes in Marrakech. 39′ The goalscorer, Gabriel receiving treatment. 35’ Sudan with a good move on the right, good cross delivered and Bakhit Maki’s header narrowly goes wide. 26′ Gabriel comes close to bagging a brace, his left-footed shot sails inches wide off the left corner. 22′ Corner for Nigeria, but Akram comes out to collect and receives a set piece for a push. Okechukwu beat Akram from close range with a low shot after beating the defence with his pace. 14′ Is A Goal!!! Gabriel!!!! The Eagles have gone 1 up. 12’ Sub for Nigeria: Theophilus Afelokhai makes his way to replace Ezenwa. 09′ Ezenwa will not continue in the game. Signals are made for a change. 07’ Ezenwa comes out of his line to make a timely save to deny Sudan’s Mohamed Idris and the keeper is injured in the process.